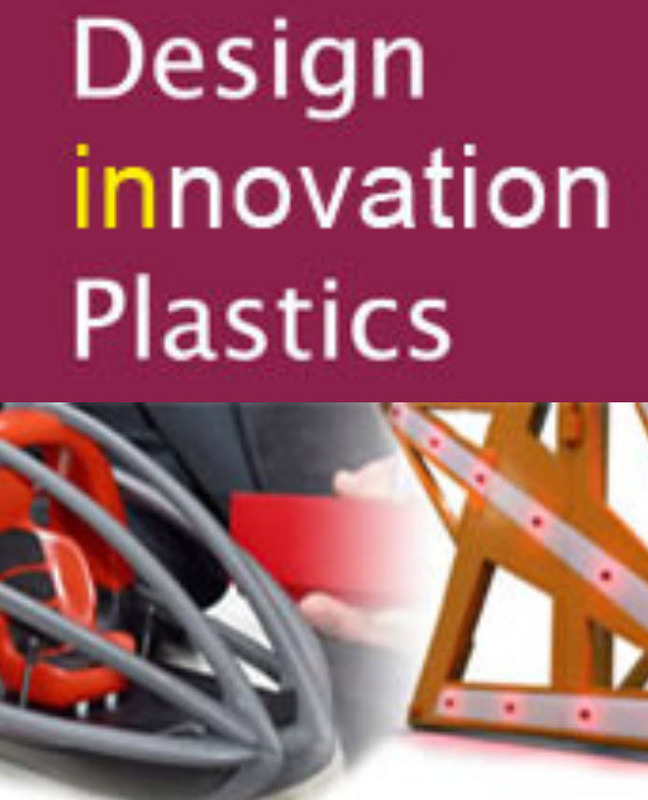 Established in 1985, Design Innovation In Plastics is now the longest running student plastics design award in Europe. It is an opportunity for design students to make a name for themselves, but also for universities to raise their profile as institutes of excellence in this field. Around 300 students from 20 universities register for the competition every year with many of these universities having now incorporated Design Innovation in Plastics into their coursework. Organised by the Institute of Materials, Minerals & Mining (IOM3) and the Worshipful Company of Horners,Design Innovation in Plastics is headlined sponsored by Covestro and also supported by market leaders in the fields of design and innovation. 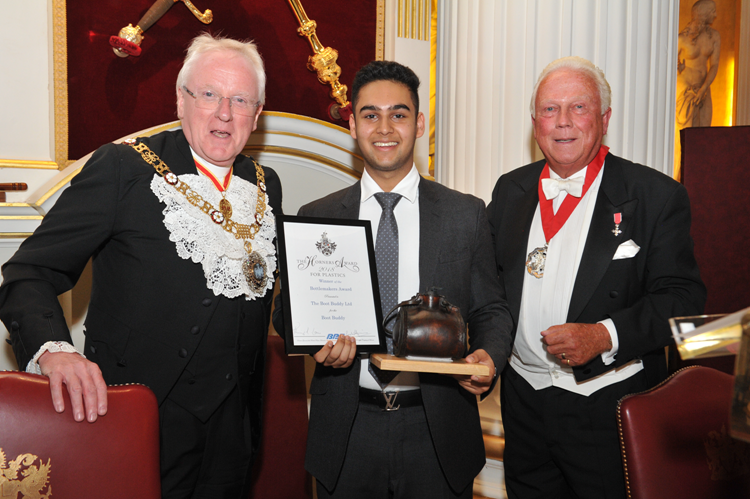 Both IOM3 and the Worshipful Company of Horners play important roles in the field of education, and this award was set up to encourage plastics design innovation and best practice in our future product designers. Winning this award can be an important stepping stone to a successful career, an example of which is Alex Bordino, the winner in 2015. Find out what happened to him as a result of his win by clicking here. Details of the brief for entrants for the 2019 award can be found by clicking here. Alex Roquero, a Product Design student from Brunel University, won first prize for 2018 with a cleverly designed shelf which can fit on a balcony railing and carry anything from a plant to a bottle of wine. Alex impressed the competition judges with his ‘Hook’ shelf, which is integrated with a flowerbox, and fits to any kind of railing – ideal for people who have no garden, or reduced space, and want something which hooks onto a balcony. Thanks to its unique shape, as well as plants, it can also carry day-to-day products such as coffee mugs, wine glasses, beer bottles or even books. To find out more and to learn about the runners up visit the news page of www.designinnovationplastics.org by clicking here. 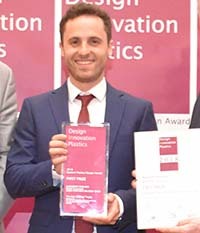 Horners’ Award for Plastics Innovation and Design. The Horners Award is an annual award for an imaginative or innovative contribution to the plastics industry. The Worshipful Company of Horners was founded to set and maintain standards in the ancient craft of the Horner. After it had ‘adopted’ plastics, the company introduced an award to encourage good design in plastics, these materials being the logical successor to the horn. The Horners Award is an annual award for an imaginative or innovative contribution to the plastics industry. The Worshipful Company of Horners was founded to set and maintain standards in the ancient craft of the Horner. Could you win the Horners Award? The Horners Award for Plastics Innovation and Design 2019 is now officially open for entries. As the oldest plastics award in the world, instituted in 1947, to be a winner is a real feather in the cap for a company. To find out about entering please click here. 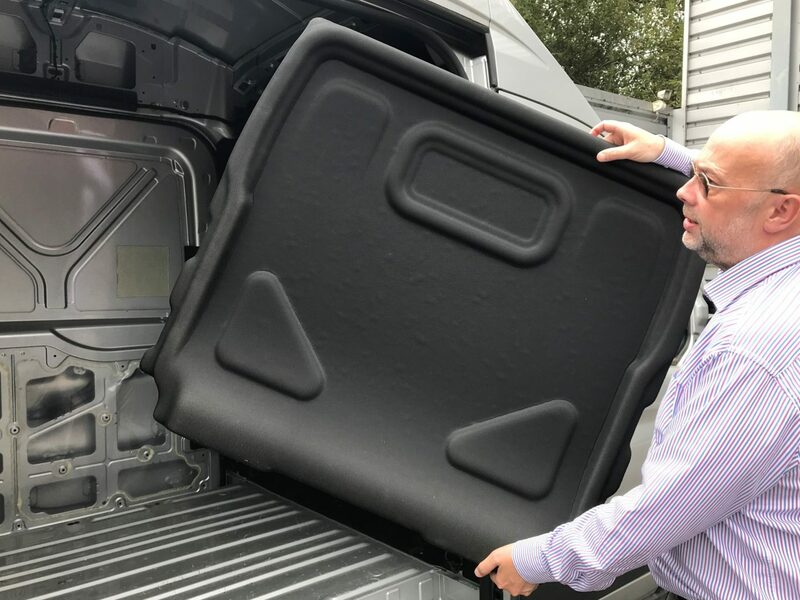 The vehicle bulkhead, developed by RLE International, represents a mass saving of 34%, and a cost saving of 10%, when compared to the existing metal panel typically found in vehicles. Key to meeting the high impact requirements was the unique integration of continuous fibre composites. Judges recognised its light-weight and associated fuel saving advantage, and praised it as an eco-friendly development for the automotive industry as the bulkhead is also fully recyclable. In 1467 The Worshipful Company of Horners’ merged with the Bottlemakers Company (who made bottles from leather) and in October 2002, at the Interplas Exhibition at the NEC in Birmingham, they announced a new annual Award for Bottlemaking. Entries for this award must be a plastic bottle, jar or hollow container, made by any process including extrusion blow, injection blow, injection stretch blow, injection moulding, rotational moulding or vacuum forming. The entry must have significant UK content in Design, Materials or Manufacture and a proven record of commercial success. The annual Award consists of a leather bottle made in this century by traditional methods, flanked by two silver-rimmed horn beakers, all mounted on an oak plinth. The Award that the winner retains is a smaller leather bottle, also mounted on an oak plinth which is suitably engraved. The Boot Buddy won the Horners Bottlemakers gong as a creative innovation to clean muddy footwear. Judges awarded Boot Buddy Ltd with the prize because of the technical innovation, and minimal water usage in their efficient boot cleaning product. 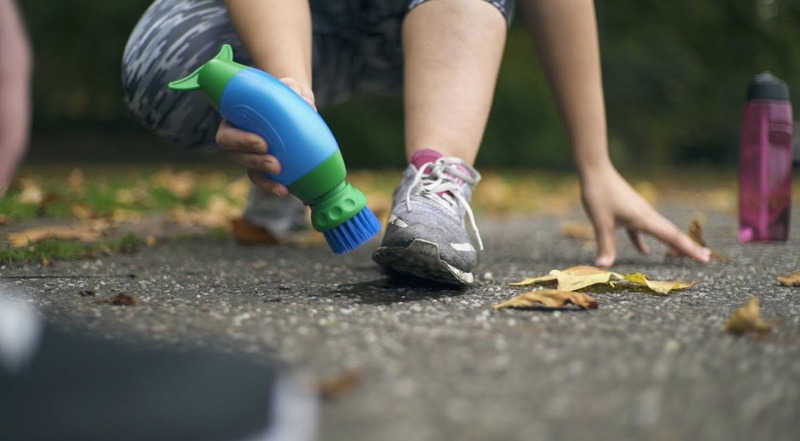 Using just 300ml of water, the Boot Buddy features a brush for cleaning and provides an easy-grip suitable for all ages and hand sizes, controlling water flow via the bottle to the boot. The Polymer Apprentice of the Year Award, run jointly by the Worshipful Company of Horners and the British Plastics Federation Education & Skills Committee, aims to recognise the commitment and achievement of apprentices in the polymer industry and to encourage and support them in their development. The Company, through its Polymer Committee, looks to encourage and promote education and training in STEM subjects (Science, Technology, Engineering and Maths) generally, and in the skills vital to the polymers industry particularly. The BPF, for its part, is seeking to promote further development of education and training within and for the polymer industry, to address the “skills gap” and to attract talented young people into the industry. The Polymer Apprentice Awards, which not only celebrate achievement, but also demonstrate opportunity in the industry, are an important part of this developing cooperation. The competition is open to apprentices (and those who have recently completed their apprenticeships) employed in a technical, engineering, manufacturing or design role in the polymers industry. Details of other training undertaken by the apprentice will be taken into consideration, as well as extra-curricular activities and achievements outside the workplace. 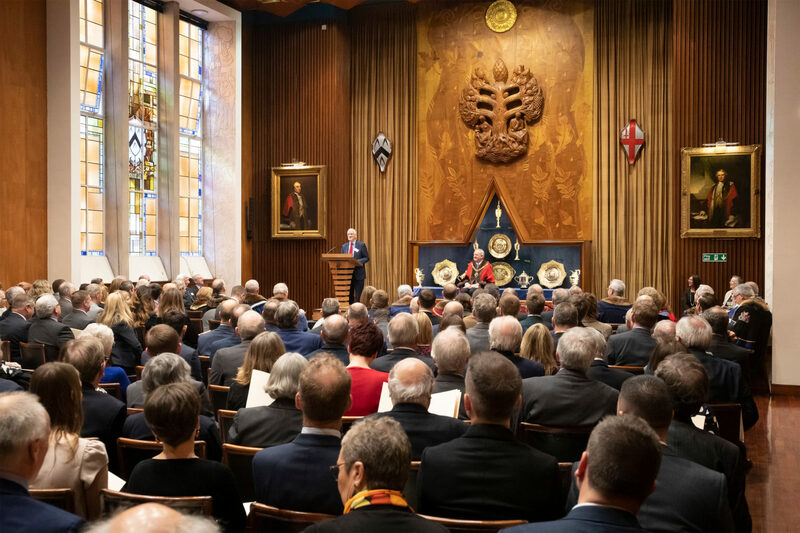 The winner is invited to attend the Livery Companies Skills Council Apprentice Certificate Ceremony in February 2019, in the City of London, where they will receive a prize of £500 and a ceremonial drinking horn, along with the Horners’ Polymer Apprentice Certificate from the Lord Mayor of London. 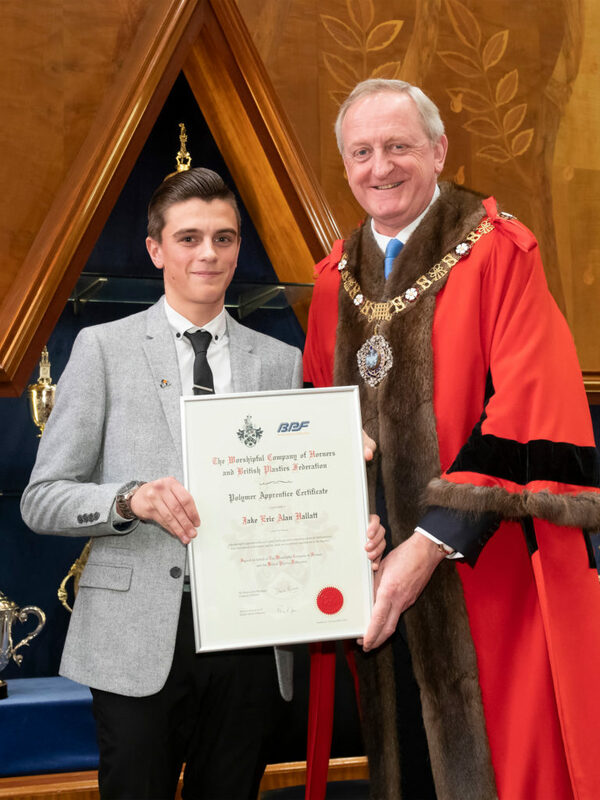 Excellence and achievement, in learning and using the skills associated with the polymers industry, were again evident in the candidates achieving recognition in the 2018 Horners’ Company and British Plastics Federation Apprentice Awards. The standard of the entries was again high, and the judges (two Horners and two representatives of the BPF Education and Skills Committee), were looking, not just for a high standard of achievement, but also for evidence of strong commitment and personal initiative, as well as for engagement outside the workplace. The first prize was awarded to Jake Hallatt. Jake is an apprentice with Gripple, the market-leading producers of wire joiners and tensioners, and wire rope suspension systems for the construction and agricultural sectors. He is only the second ever plastic injection moulding technician apprentice there. His day to day job includes; mounting of mould tools, setting mould processes and setting spring machines. Jake is close to finishing his apprenticeship and is showing tremendous progress towards his “science manufacturing technician level 3 diploma in polymer processing operations apprenticeship” course. Jake has completed a spring training course which was tutored by Wafios, an internal financial training course, 5’s training, enabling him to audit the company’s 5’s processes, and attended an Employee Ownership management training course. Over the next year Jake is due to attend courses in; leadership, intermediate and advanced excel, and train the trainer. 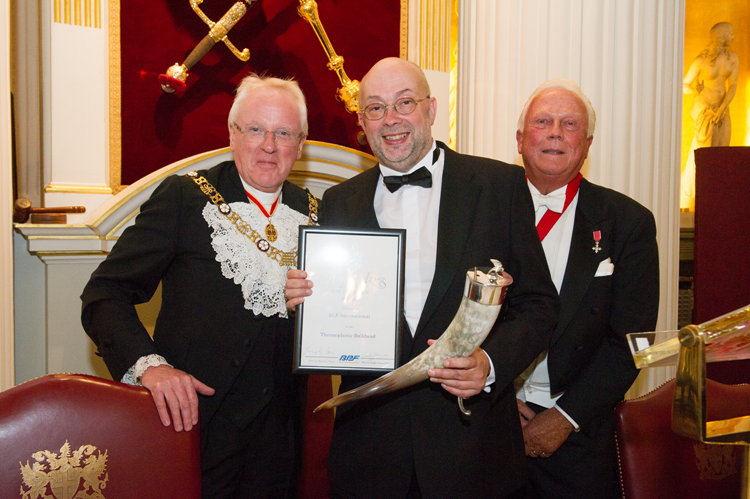 He attended the Livery Companies Skills Council Award Ceremony in Carpenters’ Hall on 11th March. 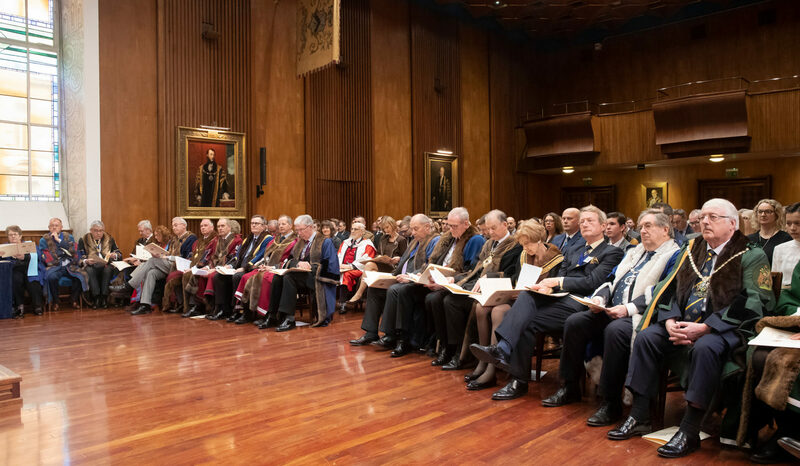 At this impressive event, the Lord Mayor, Alderman Peter Estlin, and the Masters of fourteen livery companies, all splendidly robed, gathered to present Master, Journeyman and Apprentice certificates, recognising career and skills progression and achievement in the crafts and industries associated with their companies. 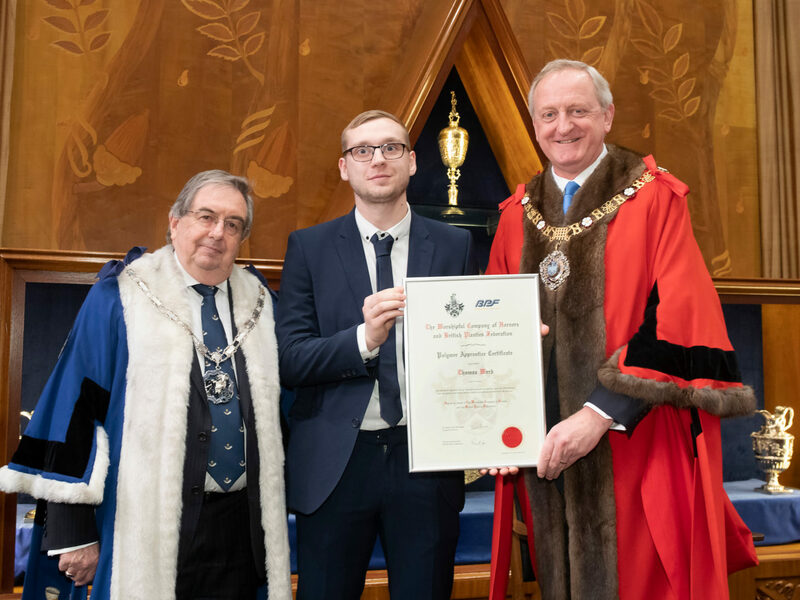 Jake, having accepted, from the Master Horner, the ”Charge”, which required him to “uphold the high standards expected of all who receive the Apprenticeship Certificate and do your best to continue diligently with your academic and practical studies in the polymers industry”, received the Horners’ Company / BPF Polymer Apprentice Certificate from the Lord Mayor. The Master Horner then presented him with his certificate and a cheque for £500. 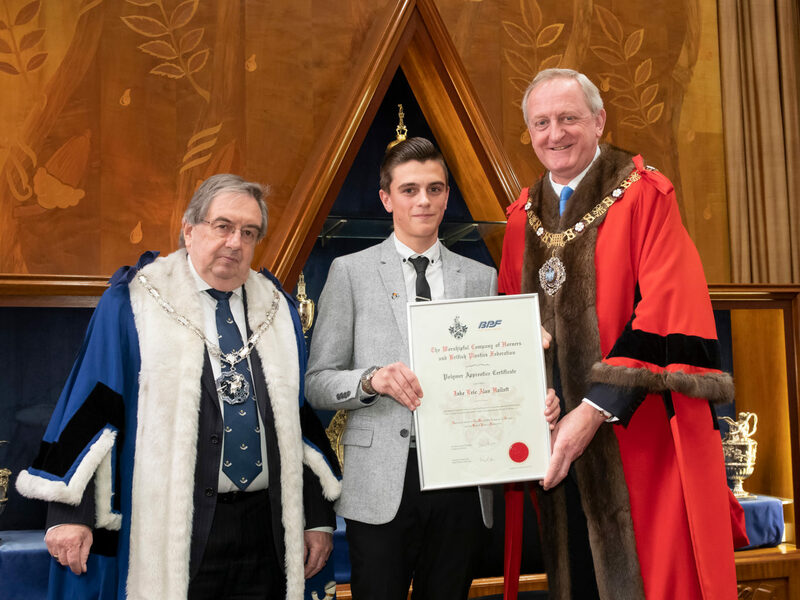 The Lord Mayor Presents Jake Hallett with his Certificate. The judges awarded a runner-up prize (of £200) to Thomas Ward. Tom is employed in the tool room at Amaray, a specialised packaging company that creates innovative and customised packaging for the world’s leading brands in key markets, including health & beauty, food, consumer packaged goods, and home entertainment. Tom is serving his apprenticeship as an injection mould Tool Maker responsible for the servicing, repair and refurbishment of our injection mould tools. On site, Amaray has milling machines, centre lathes and surface grinders which Tom is proficient in and can use at his disposal. Tom is currently studying Engineering maintenance at Level three. He attends Vogel college one day per week as part of the program. His attendance levels at college are very good and his reports are always positive. Tom has been studying advanced milling and advanced turning, so has gained some authentic and traditional knowledge.. At Amaray, Tom has gained PUWER assessors’ qualification, a PPT license and undertaken in-house gantry crane training. He is extremely optimistic and excels during training. He has passed all aspects of his NVQ and college work of which the latter included merits and distinctions. Tom has a strong eye for improvement and is always constructing new ideas on how to create progress. Tom’s knowledge reaches beyond his role as an apprentice. Within his department, he is often the person that others seek for guidance and advice. Thomas Ward receives his Certificate. 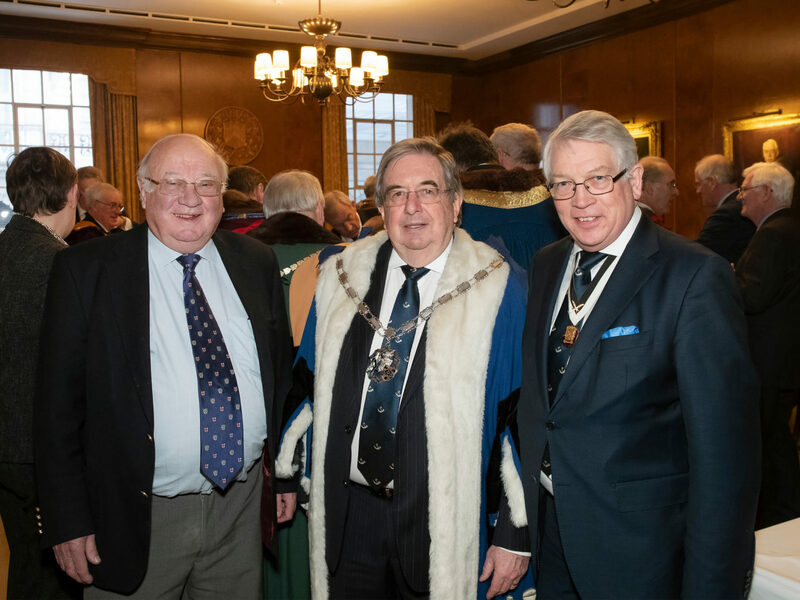 Past Master Colin Richards, one of our Judges, with the Master and our Clerk. This award, given by the Horners in conjunction with the Sir John Cass School of Art, Architecture and Design (London Metropolitan University), is founded on charitable and citizen based motivation to raise social awareness and support charitable activities. This annual award is for the most effective use of plastics and/or horn in a range of durable, wearable jewellery. Students are invited to submit for subsequent charitable auction, wearable jewellery (using plastics and/or horn) which appeals to the charitable supporters of the Livery. Students are encouraged to design with an environmental mindset in relation to the choice of materials, recyclable materials and waste. Stock jewellery findings (e.g. broche pins) may be used if integral to the design. Consideration is given to a practical and visually effective method of displaying the jewellery for auction/sale/delivery at the Master’s Charity Evening. Submission for judging should include one A2 Concept Board and the finalised artefact. As there were no entries in 2018 worthy of this award, it was not given. 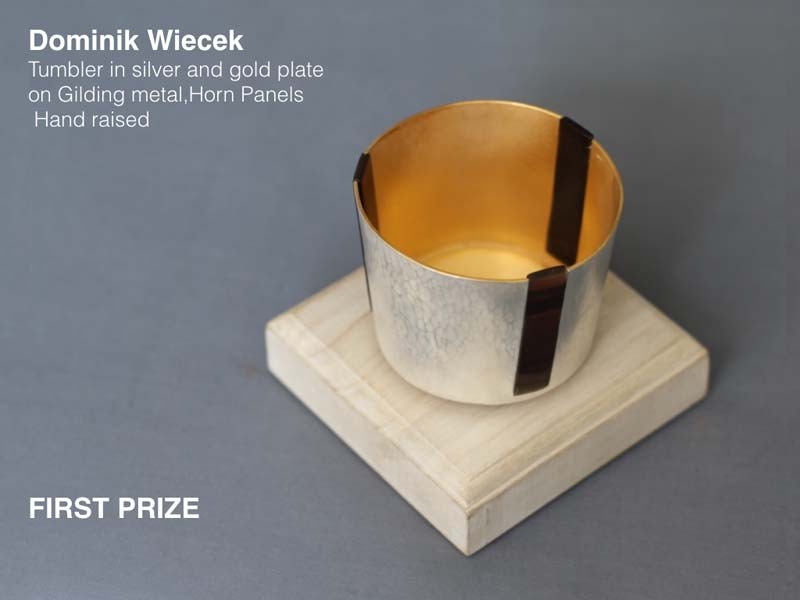 First prize was awarded to Dominik Wiecek for a gilded metal tumbler, with gold and silver plating, and horn ornaments; the horn panels can be detached for ease of cleaning. The Runner up was Nicola Trowers for her Horn necklace. Both pieces and other quality entries were auctioned in aid of the Master’s Charity in June at the Horners Charity Evening event at Painter Stainer’s Hall to which Dominik and Nicola were guests.